My third day in Hobart is more of a half day, as my flight to Melbourne was scheduled for early afternoon, which did limit what I could get up to. 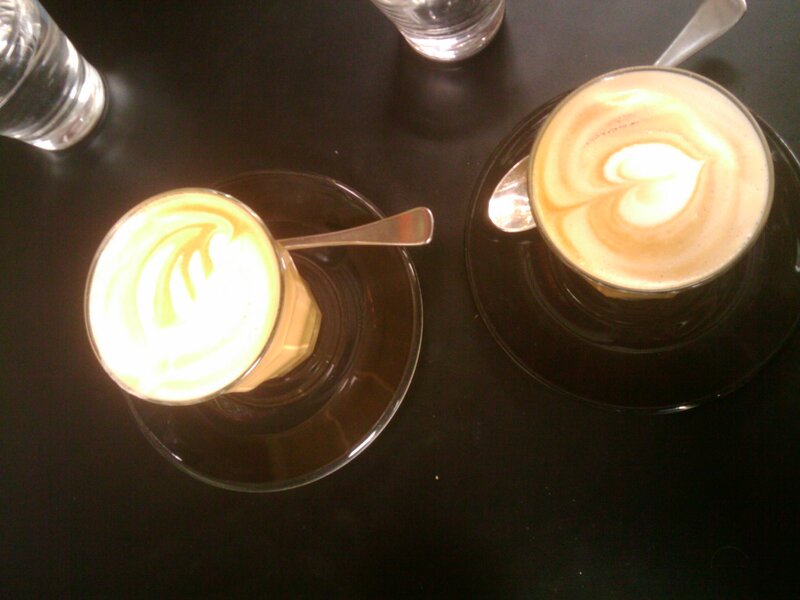 Ended up spending a good 1.5 hours at The Cupping Room, a very excellent cafe and coffee roastery. To give you some idea of how much this company loves it’s coffee, there’s a bit blackboard showing the “family tree of coffee”, how different styles have become derived from one another. 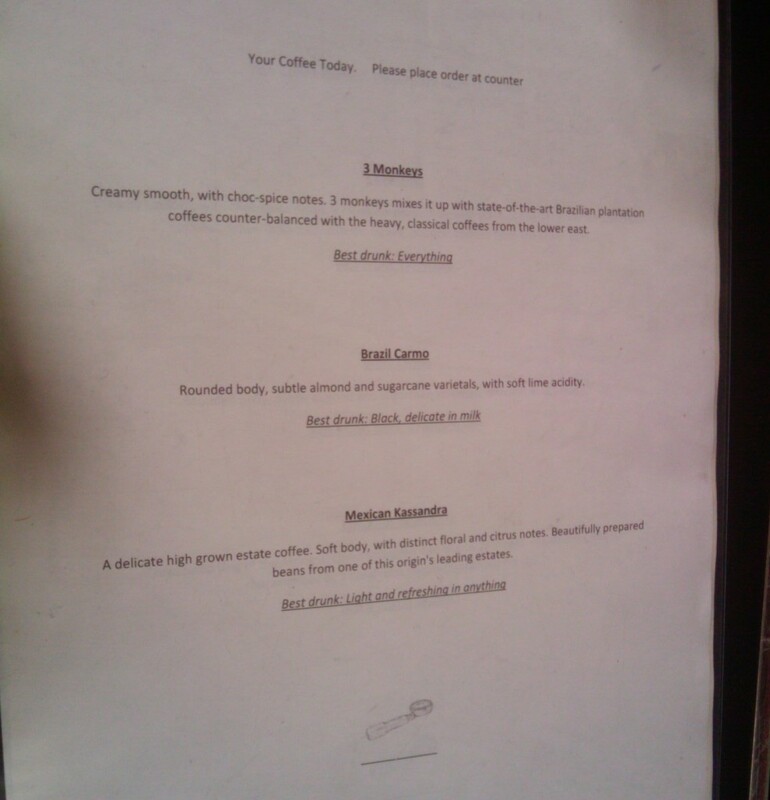 And there’s a menu for the beans you’d like today….. @chrisjrn and myself went through the menu – my favourite is undecided, they are all quite different, yet all of them delicious. 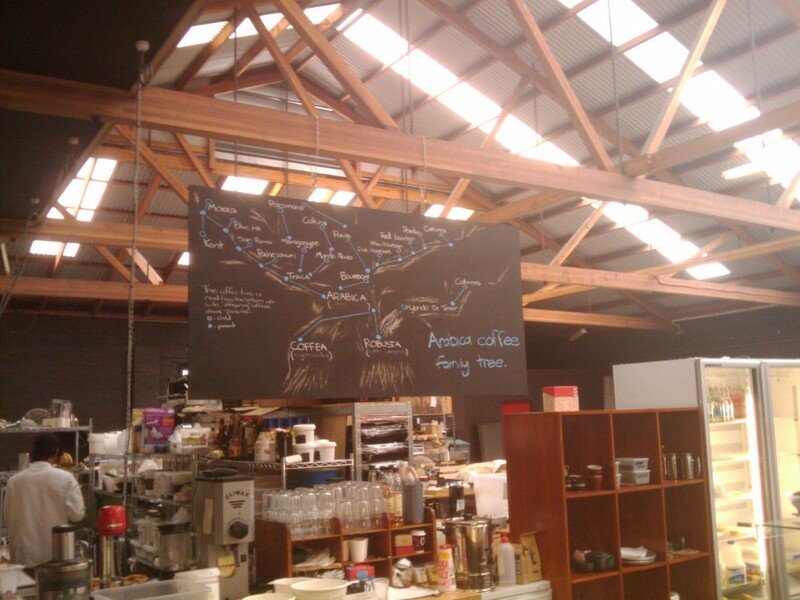 This entry was posted in Uncategorized and tagged coffee, hobart, opinions, travel. Bookmark the permalink.